On this day in 1962, the US spacecraft Mariner 2 flew past Venus. Mariner 2 was the first planetary spacecraft to fly, acting as a backup to Mariner 1, which failed shortly after launch. 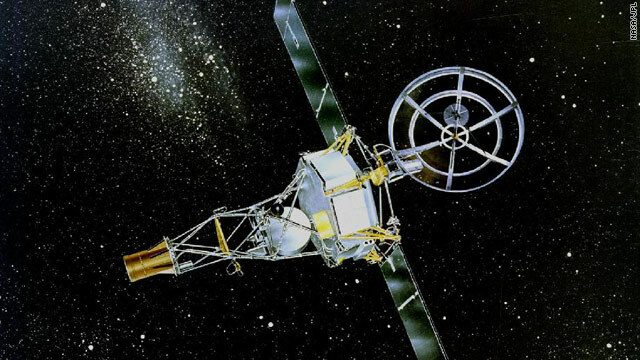 By the time Mariner 2 approached Venus, it had lost a solar panel and possibly collided with a small object. At its closest, Mariner 2 was 34,773 km from Venus. The spacecraft carried science instruments that discovered Venus' hot surface temperatures and high surface pressure. Mariner 2 also revealed that Venus has an atmosphere made up mostly of carbon dioxide and perpetual cloud cover. Mariner 2 also helped determine that solar winds are continuously streaming in the space between the planets. Seems like we are living in the shadows of glory days..
yeah to bad so many people think that space exploration is a waste of money.